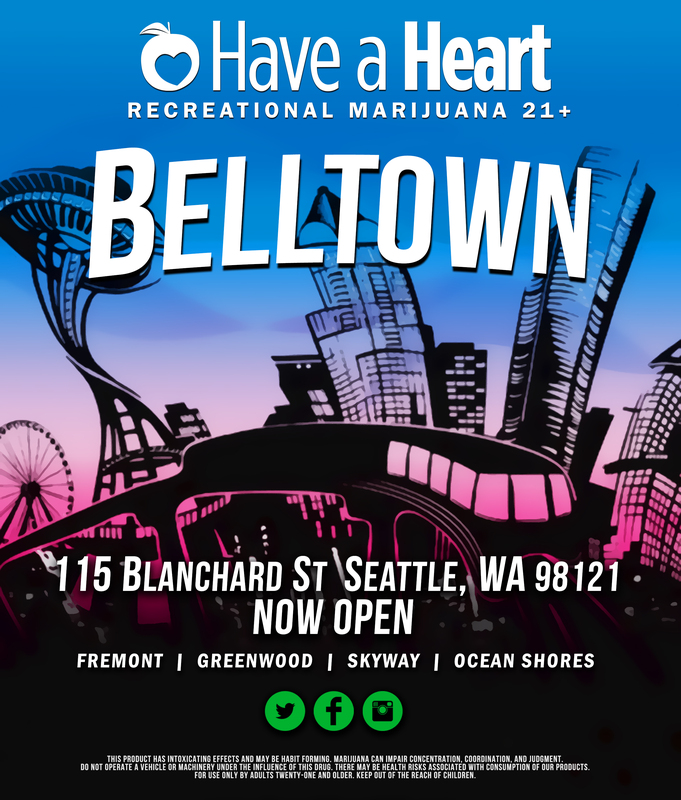 Have a Heart – Belltown/Downtown Seattle is the fifth member of the Have a Heart family and is our fourth recreational shop in the Seattle area. Our long relationships with local growers have allowed us to provide a wide array of well priced and highly sought after recreational marijuana and marijuana products. Our location provides easy access to recreational marijuana in a location that is fairly underserved and our staff has been hand picked to provide our guests with the best experience possible. We welcome you to our new location and look forward to serving you. Nice store and the staff was quite helpful. I purchased the strongest marijuana I ever smoked. All in all it was a nice experience! Great place to do a little recreational shopping! The people who work here are extremely helpful and they don't just try to give you face time, they really are helpful!